lland Class Ocean Going Patrol Vessel 3750 "Holland"
Home › Holland Class Ocean Going Patrol Vessel 3750 › Holland Class Ocean Going Patrol Vessel 3750 "Holland"
Holland Class Ocean Going Patrol Vessel 3750 "Holland"
In May 2011 the first two of four OPVs for the Royal Netherlands Navy, the ‘Holland’ and ‘Zeeland’, were transferred to the Defence Material Organisation. The OPVs are equipped to conduct a range of maritime security operations. 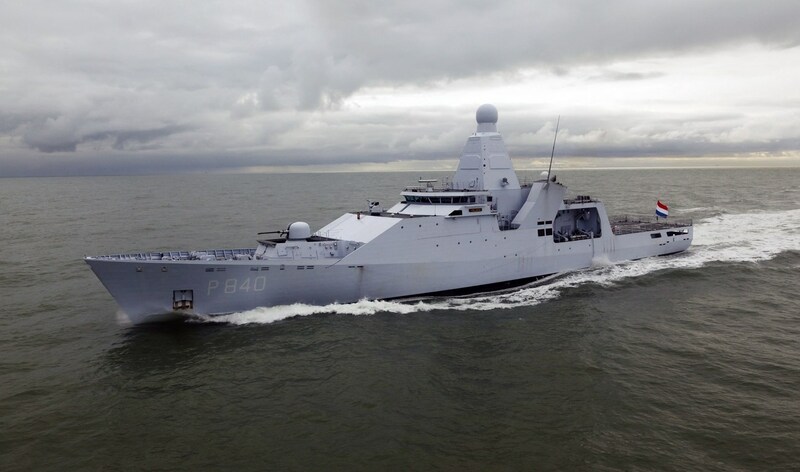 In November 2011 the Integrated Mast Module (IMM) was installed on the ‘Holland’. This integrates practically all the surveillance systems, as well as the optical sensors on board.